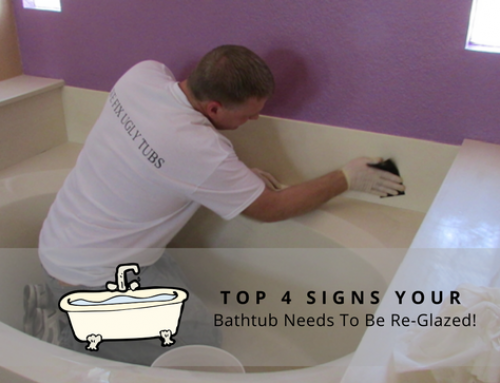 Home » Blog » Do DIY Bathtub Resurfacing Kits Actually Work? 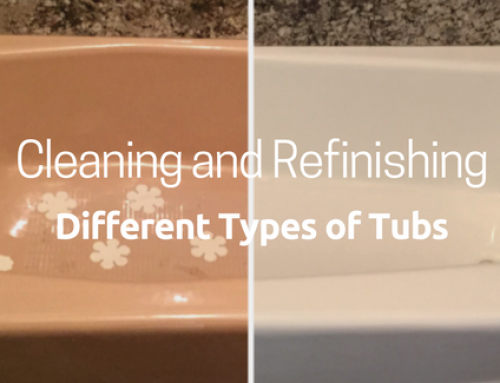 Mesa bathtub refinishing is a great alternative to getting a whole new tub. Instead of paying a lot of money to have your bathtub cut out or even to have a few walls cut through to get the bathtub out, you can just pay a professional to recoat the tub and make it look like new again. 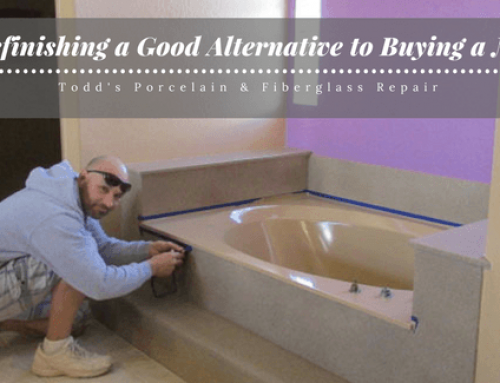 Since bathroom bathtub refinishing can be a bit expensive for some budgets, some homeowners look for options to do the work themselves. The big box home improvement stores have been more than happy to comply, providing kits that promise to get the same results as the professionals for a fraction of the cost. For about $50 and an afternoon of hard work, you can make your tub look like new again – at least, that’s the promise. Most of the DIY kits that are sold in stores are made of an epoxy. In contrast, the coatings that a professional applies are typically an acrylic polyurethane. The epoxy is not designed to expand and contract with temperature changes the way the acrylic polyurethane can. That means that when you turn on hot water, the coating won’t respond properly. Over time, the coating may crack, peel or turn yellow. 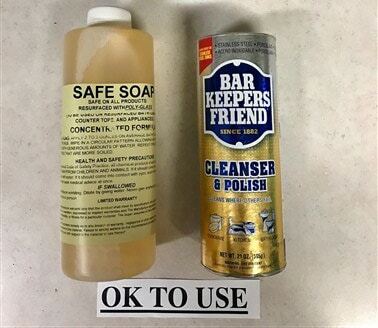 Unless you plan to take cold showers and baths for the rest of your days, it’s not a good idea to use a DIY bathtub refinishing kit. You’ll just have to pay to strip and redo it in a few months or a few years. 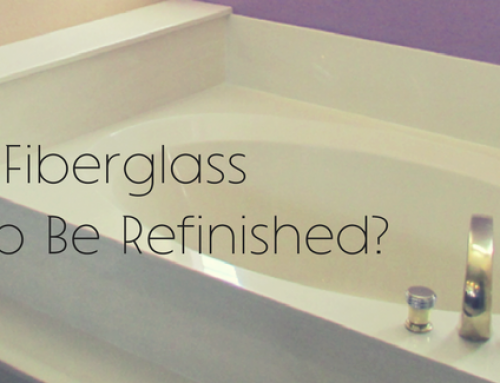 A primer is necessary for helping the bathtub finish adhere to the fiberglass or acrylic. The DIY kits that you buy from chain retailers do not include a primer. Therefore, the coating can easily peel away from the tub. Again, you will find yourself redoing the finish or paying someone else to redo it in a very short time. 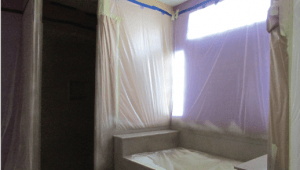 If you do have to hire a professional to redo your bathtub finish, you’ll end up paying more because labor and a special chemical will have to be used to remove this inferior coating. It’s better just to hire the professional to start and get a coating that will last you for many years, saving you money. 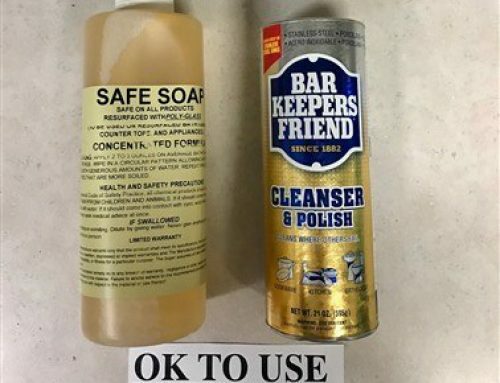 Even a good DIY refinishing kit can’t help you if you don’t apply it properly, and most people don’t have the right equipment, training or experience to apply the finish properly. The right preparation is key to getting a great finish and ensuring that it stays on for a long time. The bathtub surface must be thoroughly cleaned, including dissolving any silicone or other contaminants. It must then be thoroughly sanded for a smooth and clean surface, and all of the dust must be removed. Many bathtub refinishers in Mesa, AZ also apply a special solution after this stage to clean the surface again and help the coating bond. It is unlikely that you are going to be able to prepare the bathtub surface properly. You might rush the process, or you might skip steps or perform the steps poorly. Any mistakes that you make during this stage can impact the quality of the bathtub finish and its longevity. 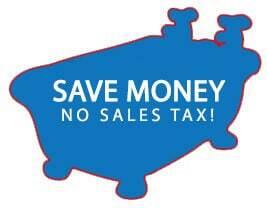 Don’t cut corners in an effort to save money. By using a DIY refinishing kit, you might save some money up front, but you’ll end up spending much more money in the long run, and you will have wasted a lot of time and effort. Just hire a professional to do the work and make sure it is done right the first time. 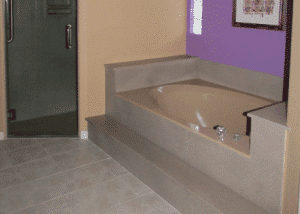 Todd’s Bathtubs in Arizona specializes in fiberglass bathtub and shower repair, including bathroom bathtub refinishing. 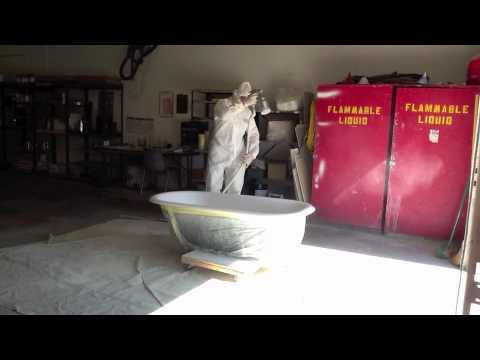 We have more experience than any other bathtub refinishing company in Arizona, so we know how to get the best results for your tub and shower. Our technicians perform exceptional work so that your bathtub looks like new when it’s refinished and it stays looking that way for a long time to come. Give us a call to learn more about our process or to get an estimate for your job.